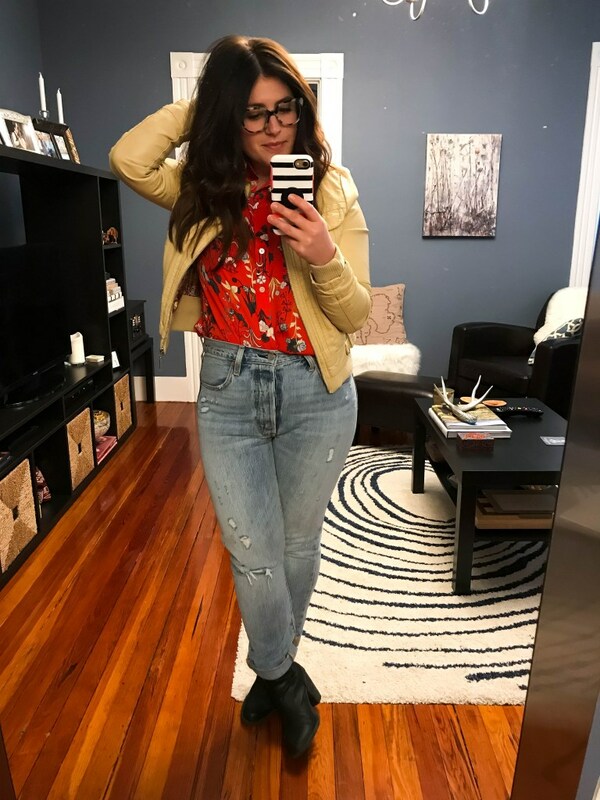 If you are a long time reader of Boston Chic Party, you probably remember the “Style My Closet January” challenge I did the last few years. Call it starting the New Year on the right foot (or maybe not…), but I challenged myself to a whole month without shopping and styling new looks from only what was in my closet. While it definitely was a challenge each time I did this, I also learned a lot from it… probably more than one should admit over something as silly as not shopping for a month! 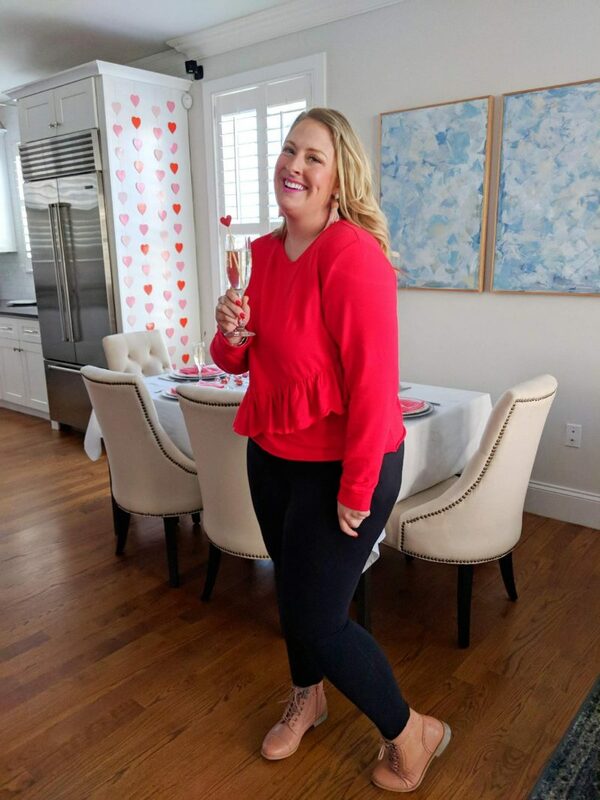 Well this year two of my best blogger babes, Danielle and Natalie, organized a whole group of Boston bloggers to do a no shop month together for what they called No Shop February! 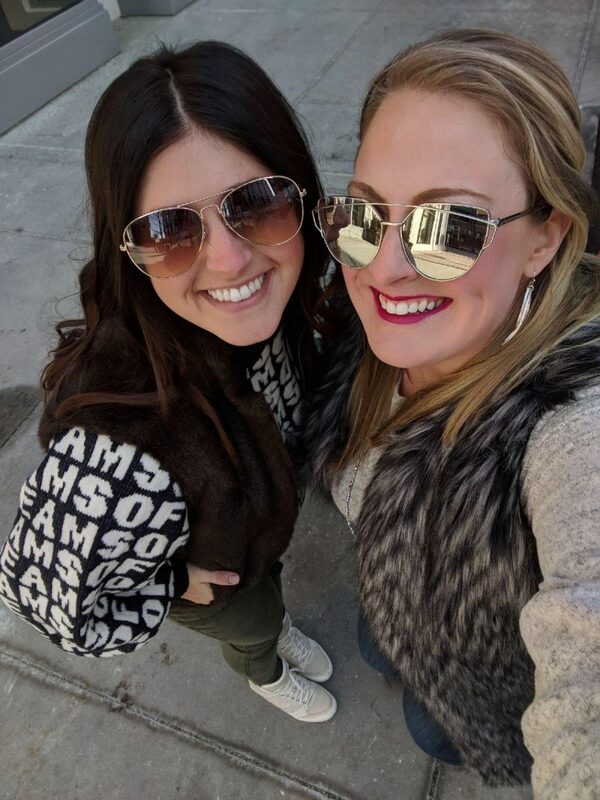 Natalie and Danielle are two amazing women who have that amazing ability to make anyone they meet smile, so it is no wonder they had over 30 people join in on this challenge! While I had to sit it out this year (kinda hard not to shop when you don’t know what is going to fit you from week to week 🙂 ), I hope I get to join in next year on all the fun. These girls took it a bit further than I ever did as mainly I was focused on using what I already had in my closet- their approach to No Shop Feb also included unnecessary purchases like coffee out, ubers when you could clearly take public transport or ya know random Target runs (not sure I can live without those…). 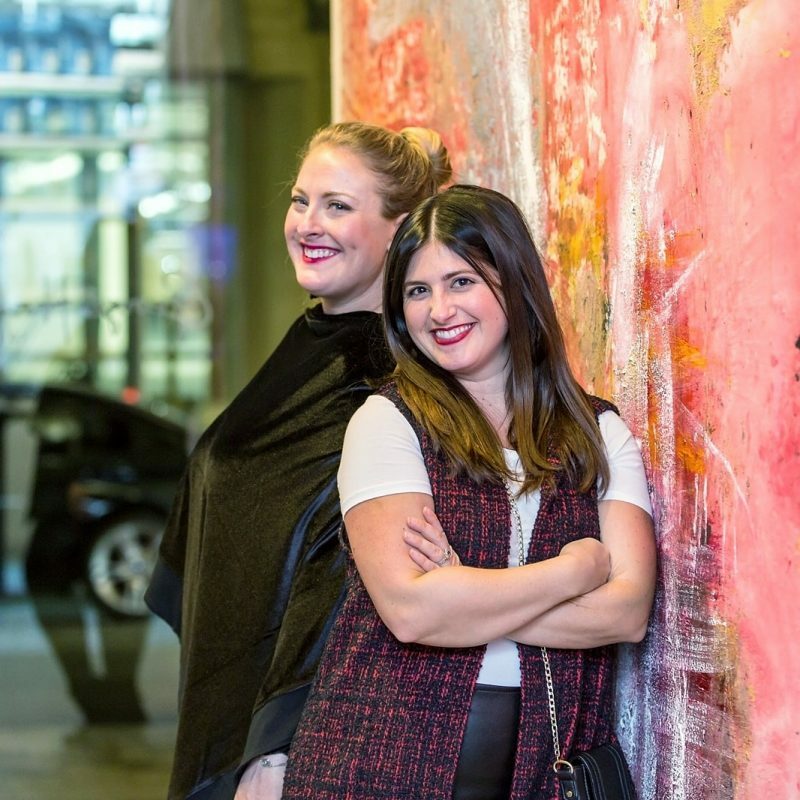 I was so impressed with their attitude towards what they called “mindful spending”, I asked Natalie and Danielle to share some of their key takeaways from No Shop February with me- and all of you! Because even if we didn’t put in all the work of a no shopping month, I am confident we could all use a reminder (or two or three or twenty…) on mindful spending and shopping! I’m 31 years old and as much as I try to be self-aware of my own spending habits, I can’t live without gourmet coffee and new jeans. Sometimes when I’m running late, I’m too lazy to take the subway and I call an Uber. I never leave Target without buying a bag of things that can only be described as a “boredom mood purchase” that I don’t actually need. When I’m in my office and my made-at-home lunch disappoints me, I buy something else. And I have clothes in my closet that I’ve only worn once (and in some cases, not at all). Brief interruption from Jenna: Is Natalie reading my mind right now, yes, no, you too? Scary! My parameters were as follows: no purchases in the categories of clothing, beauty or accessories, no lunches out, no coffee shop coffee (my coffee maker at home was fair game! A gal’s gotta survive and no Ubers. I figured I’d breeze through the quick 28 days, perhaps reflect on the amount of times I was tempted to make a purchase, and move on. This month was my coming to terms with the amount of STUFF I own. Just stuff. Everywhere. SO. MUCH. STUFF. A lot of which I don’t use and isn’t a necessity. And for those things, I gave myself the span of #NOSHOPFEB to either find an actual use for, or donate to someone who could. 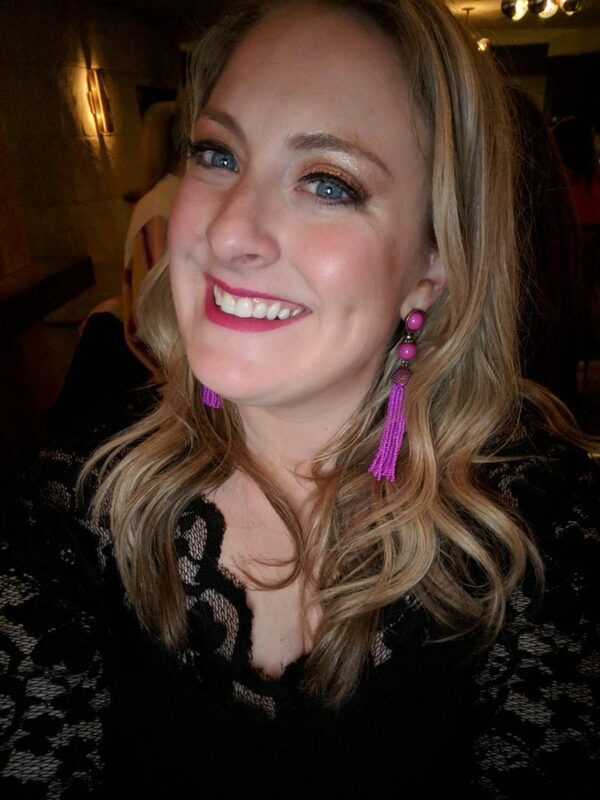 And as a result, #NOSHOPFEB will always be remembered as the month I wore a frickin’ tutu on Valentine’s Day and a piece that can only be described as a “velvet bathrobe” out to dinner. Another brief interruption from Jenna: But the thing is this girl can rock a velvet bathrobe and a tutu like nobody else! What I actually learned- Is it surprising to hear that my wallet benefited from #NOSHOPFEB? Of course not! But It was a great way to remind myself that $20 here, $5 there, and an “oh but it’s on sale!” purchase all add up to a figure that’s actually impactful to my personal monthly bottom line. Let’s get real about shopping. Fashion is a part of my life- personally, professionally and in my educational background- and so it’s just going to be something I do. The hope, after I spent a month shaming myself on all of the things in my closet that I’ve under-used, is to be a lot more aware when I shop in the future. Holding myself to better determining need vs. want, and remembering what I already have to choose from, is the ultimate goal before making purchases in the future. Hello, free time! Some of the others who participated in #NOSHOPFEB echoed having a similar experience, but I was really surprised at how much free time I felt like I had this past month. I really don’t go shopping all that much, but browsing online, window shopping, and reading daily store emails- I didn’t bother with any of it. And my life felt less cluttered, less busy, and more relaxed. I survived! Man, that sounds so dramatic given all the real problems in the world, but I made it a month without shopping (within my parameters). In fact, it’s March 14th and I have yet to buy an article of clothing or pair of shoes! With Spring around the corner, I know that will change, but here we are for now. My favorite part of “fashion” is actually style. I am a mood dresser and not one to pick out outfits in advance. Often my outfit posts you see on Instagram were put together the very morning the photos are taken. The biggest thrill for me is pulling together pieces, some years old, in a way I never have before. The creativity aspect fuels me. So what better way to embrace that creativity and style than to shop my (considerable) arsenal of clothes, accessories, and shoes?! My parameters: No clothes, shoes, accessories, or beauty unless replacing something necessary (shampoo, tights, etc). Groceries, toiletries, gifts do not count. I will still be spending on going out (for now– maybe a future month idea…? ), but I am attempting to limit buying coffee or lunches during the week which is an area I overspend in for sure. More Time: Within the first few days of February, which fell on a weekend, I already felt like I had more time. How is that possible? Since coffee out was “allowable” on the weekends, I spent both Saturday and Sunday morning at Caffe Nero with a book. Not typically one to linger in a coffee shop, my usual M.O. on the weekends looks more like a drive through iced coffee and then hitting up stores to browse or “run errands”. Sure, often times I am buying necessities, but there’s a lot of impulse purchasing going on as well. It was truly lovely to take my time in a nice setting with a good book and just savor my weekend mornings. Another interruption from Jenna: The impluse Target purchases anyone? I can’t leave there without spending $100 and not knowing what I spent it on! Creativity: The challenge to rework pieces I already own absolutely fueled me. I pride myself on being able to mix and match even my eclectic wardrobe, but when there was no “falling back” on buying something new, it took it to a whole different level. I was finding my own pieces enjoyable! Who knew? Community: Over 30 of us did it together! And a lot of what I mentioned above resonated with them as well. Read more about the gang and why I did this here. I loved reading about Natalie and Danielle’s experiences and as you could tell from my little side interupptions I can totally relate! 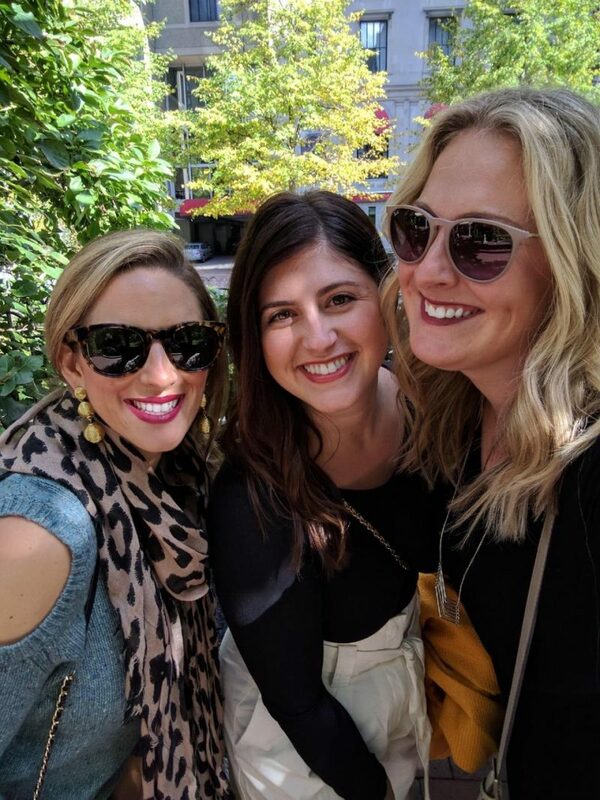 Not only are these two ladies amazing for having completed this 28+ days without shopping, but they brought together a whole bunch of women to do something to better themselves all while lifting each other up. If that isn’t something that deserves all the kudos, I don’t know what is! Thanks Natalie and Danielle for sharing!